Offers regional and topical training workshops for teachers, hands-on programs for classrooms, on-line and hard copy resources. 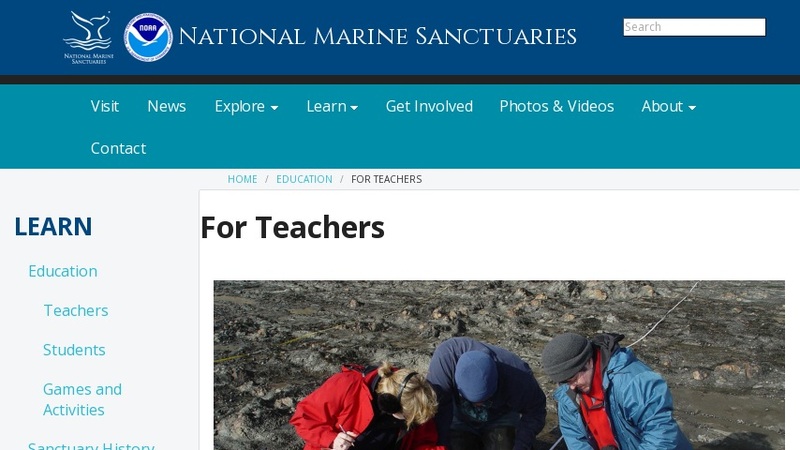 Teachers can arrange Sanctuary access to conduct intertidal monitoring, data collection and analysis. Grant opportunities for developing outdoor education. Ocean, watershed and technology topics covered using curricula, lesson plans, field activities and methods, data and virtual sanctuary fieldtrips.